Running a ranch in the U.S. today requires an interesting combination of art and science, grit, and luck. While many parts of the agricultural industry have changed dramatically over the years — and ranching has certainly seen its share of changes in modern times — ranching today is actually very similar in practice to how it was done way back when the West was still wild. In fact, one of the ongoing challenges and joys of running an American ranch is maintaining a series of age-old tasks as efficiently and profitably as possible using modern methods and technology. Although the term “ranch” has broad applications, for the sake of this article, we’ll be discussing one of the most popular and common ranches in the United States — the basic cattle ranch — to illustrate what it takes to make a success of ranching in the 21st century. All of the basic principles discussed can be easily applied to various types of livestock-based ranching operations and, with some understandable adjustments, to less common ranching operations including those designed primarily for recreational and rehabilitative purposes. As we dive into what successful ranchers reveal about what it takes to run a ranch today, a common theme becomes very clear: running a ranch is synonymous with running a business of equivalent size. While ranching enjoys a kind of mystique and legend in the minds of romantics who grew up watching Westerns, a love for the ranching lifestyle isn’t enough on its own to sustain a ranch. Instead, successful ranchers are businesspeople who must be just as adept at analyzing complex financial data and creating long-term strategic plans as they are at guiding a herd to good grazing land and keeping a pregnant cow healthy. In many ways, those business and managerial skills can prove to be even more important than the more practical skills the ranch requires day-to-day, since those skills are more common and can be cost-effectively outsourced through smart hiring and management decisions. some active ranches in the United States today can boast over a century of continuous operation, having been handed down through generations within families or having been acquired by investors due to smart, profitable management. However, the length of operation isn’t the most important factor in how successful a ranch will be going forward. Rather, brand new ranching operations that are set up effectively and run properly have the same or better chance of earning consistent profit as operations that have been running for decades. The key to both new and old ranches’ success is business strategy and the ability to adapt to changing circumstances. 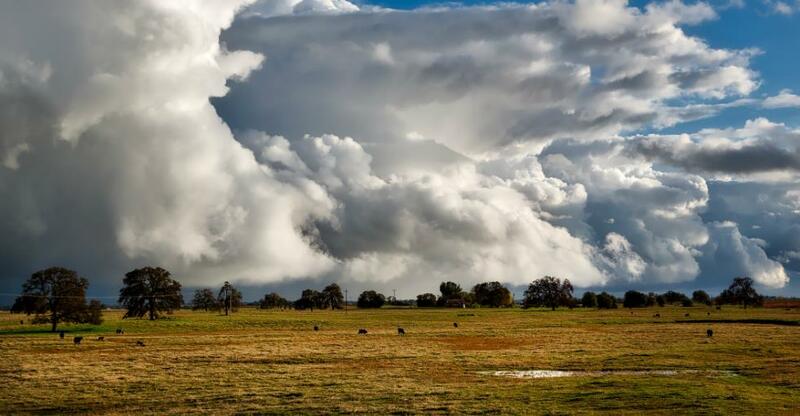 So, if you’re considering buying a ranch, it’s vital to get things started on the right foot by prioritizing the principles in this article as you search for the perfect ranching opportunity. We’ve already established the fact that a successful ranch is viewed and run like any other business, with overhead and operational costs, a product being produced, and the expectation of consistent profit fueling the business’s continued existence and growth. To support these basic requirements, ranchers must place a high priority on maintaining clear, accurate financial, legal, and commercial records. Hiring and other HR responsibilities must be handled professionally and strategically, including the training and evaluation processes. It’s unfortunately easy for a rancher to get caught up in minute details and start making decisions that are focused on short-term gain but that sacrifice long-term success. Professional ranchers who have achieved the latter recommend avoiding that trap at all costs. Instead, they recommend keeping things as simple as possible and focusing on continual improvement of every ranch’s key resources: land, livestock, and people. All three of these resources can and should be improved, and all can appreciate in value over time. Conversely, purchasing new equipment may be a necessary evil at times, but no piece of machinery is ever going to appreciate in value. It’s always a liability eventually. Continuous improvement can involve ongoing training of ranch staff, a concentrated effort to improve livestock through smart breeding and healthcare practices, and environmentally responsible land management to get the most out of every acre you own. Ranch size: Only the largest of ranching operations will be able to maintain profitability based solely on ranching income because of economies of scale. Most ranchers need to supplement their income to maintain an adequate balance. Cows per worker: One of the key drivers of long-term success is managing the labor to allow for the maximum number of cows per worker, which helps keep wages, housing, equipment and horse costs under control. Acres per cow: Effective land, fencing, watering, and grazing management are all better ways to scale a ranching operation than purchasing more land. It comes down to working smarter, not harder, and investing money you would spend on expensive land expansion into less costly and more profitable improvements. Fed feed vs. grazed feed: Focusing specifically on grazing management, there’s no denying the fact that ranchers save a lot of money if their herds can graze more and rely on “fed feed” — hay, grains, and other food the rancher needs to bring to the cattle — less. Oftentimes, this is simply a matter of changing traditional haymaking and grazing habits and attacking the problem more strategically. Cut overhead to the bone. “Most ranches have too much stuff — equipment, buildings and facilities.” Again, effective management based on sound economic and strategic planning and decision making can do wonders in lowering overhead and increasing profit. Improve gross margin: In addition to cutting overhead expenses, it’s vital for ranchers to constantly look for ways to improve the price they’re getting for their product. To some extent, cattle ranchers’ income is dictated by the commodities market, which can be a limiting factor. However, savvy ranchers are often able to locate niche markets, exploit market trends, and boost productivity to accommodate changing circumstances and maintain a healthy profit as a result. With these basic principles in mind, even the greenest of ranchers can earn a place in one of the oldest and grandest American traditions by setting up and running a successful ranch. If you’d like to try your hand at running a ranch, check out the latest listings of ranches for sale and start your journey today.